Durable Steel Construction: Square steel tube design ensures stability when you workout. And the durable frame construction can hold riders weight up to 330lbs (150kg) and withstand long term use. Full Body Workout: The vertical climbing machine imitates the body's natural movement of climbing, you can get a full body workout. Burn calories and help you strengthen and tone muscles. Low impact but high intensity workout. Digital Display: The monitor allows you to keep track of your workout time, the calories burned and the accumulated steps. Height Adjustable: There are five different height settings in the Step Machine so you can adjust the climbing machine based on your own demands. Foldable: Folding design is convenient and easy to store, space saving. You can put this climbing exercise machine against the wall or in the corner when not use. ✔ Durable Steel Construction ✔--- Square steel tube design ensures stability when you workout. And the durable frame construction can hold riders weight up to 330lbs (150kg) and withstand long term use. ✔ Full Body Workout ✔--- The vertical climbing machine imitates the body's natural movement of climbing, you can get a full body workout. Burn calories and help you strengthen and tone muscles. Low impact but high intensity workout. ✔ Digital Display ✔--- The monitor allows you to keep track of your workout time, the calories burned and the accumulated steps. ✔ Height Adjustable ✔--- There are five different height settings in the Step Machine so you can adjust the climbing machine based on your own demands. ✔ Foldable ✔--- Folding design is convenient and easy to store, space saving. 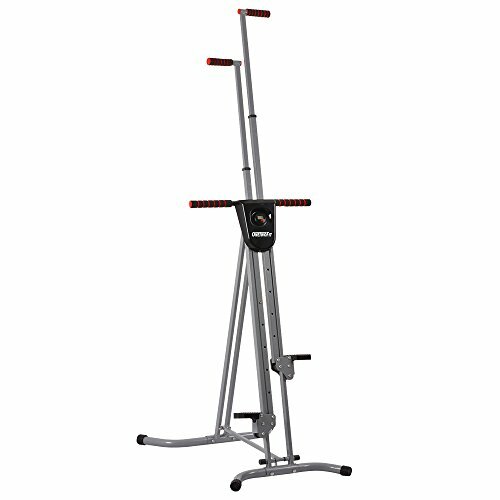 You can put this climbing exercise machine against the wall or in the corner when not use. View More In Step Machines. If you have any questions about this product by OneTwoFit, contact us by completing and submitting the form below. If you are looking for a specif part number, please include it with your message. © 2019 - davidcjames.com. All Rights Reserved.